In 1853, the same year that the New York State Legislature set aside more than 750 acres to create The Central Park, authorities noticed a suspicious rise in the amount of cow’s milk being brought from outlying farms into Manhattan. Previously about 90,000 quarts arrived in the city each day; now the number rose inexplicably to 120,000. An investigation was launched. The findings were chilling. Investigators found that some dairymen were diluting the milk with water, then adding flour to restore its consistency. 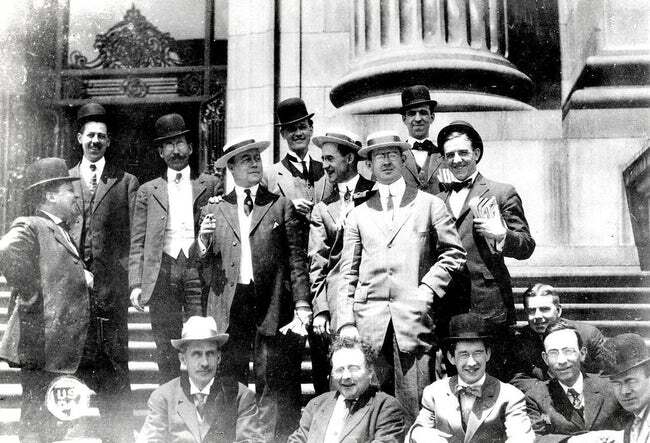 But worse, unscrupulous dairy farmers, many in Brooklyn, were feeding their cows the alcoholic mash left over from the whiskey distillery process. These cows were stricken with disease and deformities – losing their tails and hooves and developing open sores. The resulting milk, called “swill milk” by the press, was a thin, bluish liquid. To disguise it, the dairymen added plaster of paris, starch and eggs. Molasses gave it the proper coloring of wholesome milk. Harper’s Weekly, the newspaper that lead the charge against swill milk, reported that up to 8,000 children in New York died every year. 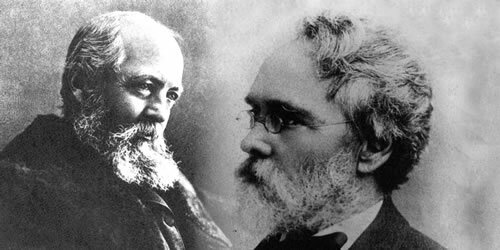 In the meantime, Frederick Law Olmsted and Calvert Vaux won the 1858 design competition for Central Park. Their vision would create open space for all New Yorkers, including the poor and underprivileged. The green spaces, terraces, ponds and roadways were designed not only for their beauty, but to contribute to public health. As the Park developed, it would play a substantial role in the milk crisis. 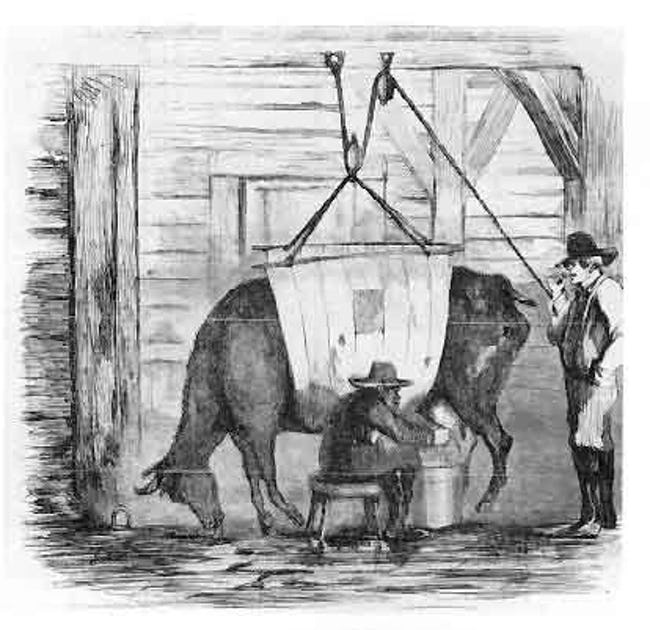 Many of the cows were in such a weak condition that they were thrown down and trampled upon by the more recent additions to the stock, and several will have to be braced up before they can undergo the process of milking again…One cow in particular, owing to her deformed feet, being unable to stand, attracted considerable attention, and yet the lookers-on were assured that she gave the best milk of any animal in the whole country. [The cows had] long tails, short tails, stub tails, and some with no tails at all. Their appendages were in every conceivable condition, from a sound stump down to stumps in every degree of decomposition… It was a most pitiable and disgusting spectacle. wholesome milk and pastries with no fear of contamination. Calvert Vaux designed the dairy, a whimsical fantasy of Victorian Gothic, multi-colored gingerbread right off the pages of Hansel and Gretel. The polychrome wooden loggia was intended to shelter the children from the elements and catch cool breezes in the summer. The stone block dairy, a combination of Manhattan schist and sandstone, took its inspiration from picturesque country German church architecture. Some people think Memorial Day is a time to recognize those who have served in the American military. It’s not. That’s Veterans’ Day. If you want to thank someone for their service on Memorial Day you should be standing in a graveyard. The intent was to surprise the enemy with a daylight raid and thereby obtain information thru capture and observation. But either thru knowledge or by chance, the Germans had prepared against this maneuver and the surprise was reversed. Waiting until our patrol was fairly within their lines, and then partially surrounding them, the enemy centered upon our men a deadly fire of rifles, machine guns, and grenades. The raiders fought valiantly in return but were outnumbered four to one. 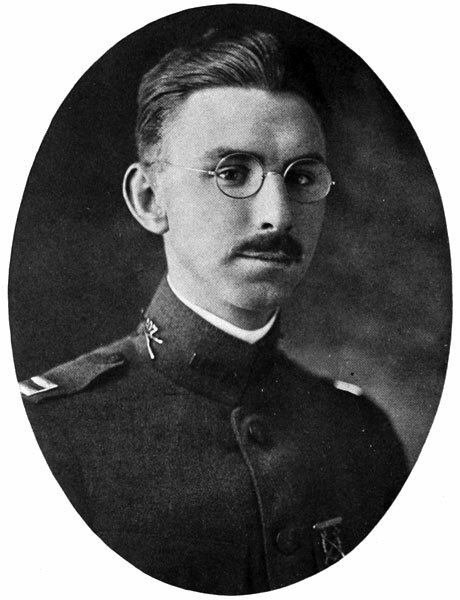 After an hour’s fighting, seventeen of our party, including Captain Barrett, lay dead, and sixteen were captured. Of the twenty-one who returned, thirteen were wounded. 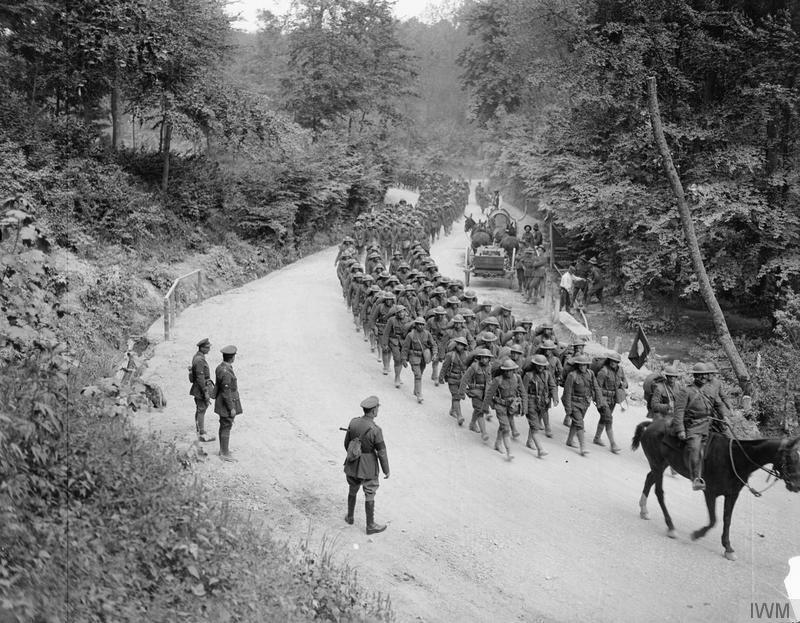 We were informed by two German prisoners captured a few days later that seventeen Germans had been killed. 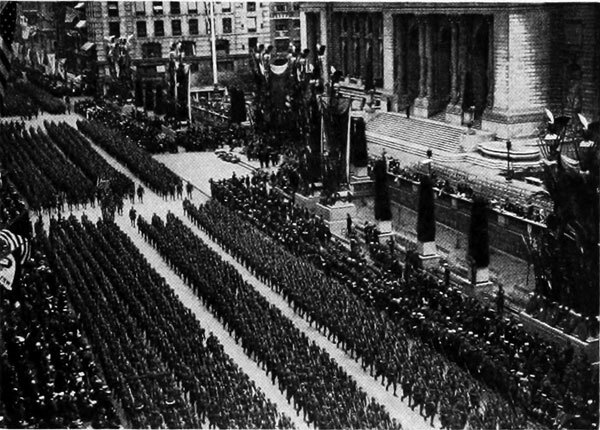 The Company moved on May 5th to the armory of the 22d New York Engineers in New York City to await final orders for the parade of welcome arranged by New York City. A.M. next morning and at 10:00 A.M. we marched out to Fifth Avenue and swept up that thorofare to the acclaim of a million throats. No greeting could have been more sincere, no welcome more impressive, and this, our last hike as Company B, was a march of glory. Any person who gives their life for something bigger than themselves – especially when given for the society we’re living in – deserves more than our respect. They deserve an examination from each of us, to see if there is something – anything – we can do to make their sacrifice worth it, to give the people who come after them a better, fairer, and freer society in tribute to them. George Delacorte was born and raised in NYC where he also graduated from Columbia University and founded Dell Publishing. 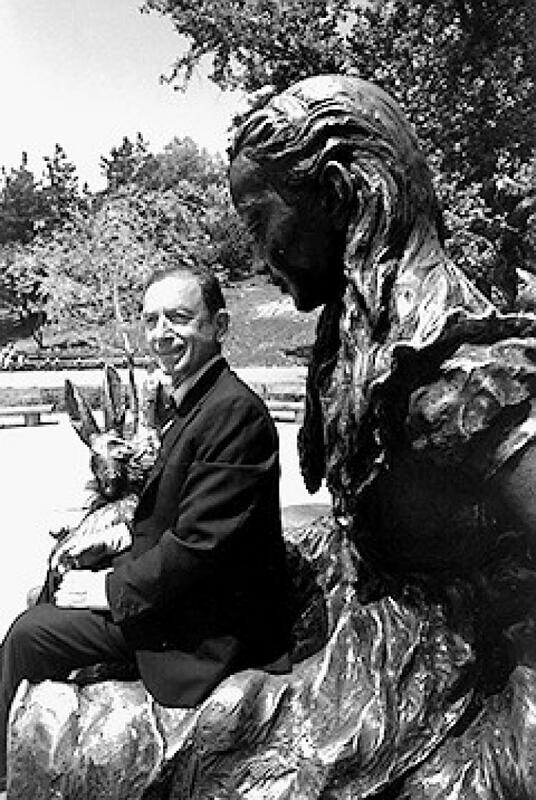 He became a philanthropist with a taste for whimsy, donating money to build fountains at Columbus Circle and Bowling Green, an illuminated geyser on Roosevelt Island, and the statue of Alice in Wonderland in Central Park. 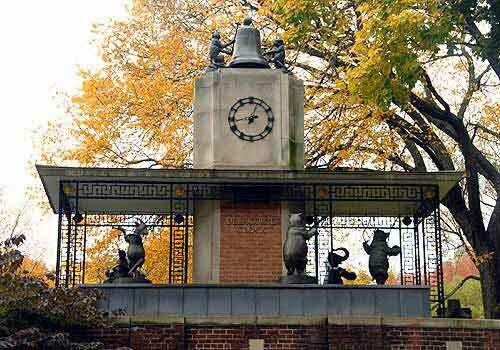 The Delacorte Clock was dedicated at the north end of the Central Park Zoo in 1965. Fernando Texidor provided the design and Andrea Spadini created the bronze sculptures. 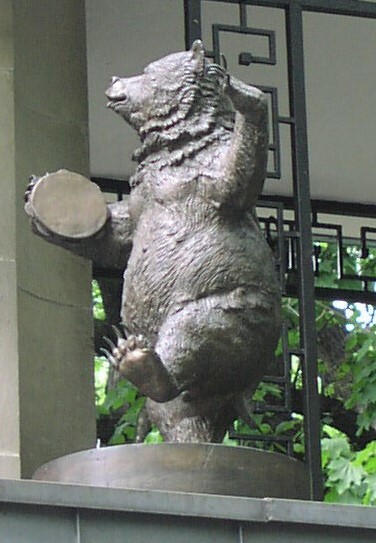 There are six animals who dance around the clock, playing musical instruments: A bear playing tambourine is joined by an elephant on accordion, a hippo on violin, a kangaroo and her baby each playing a horn, a penguin beating a snare drum and a goat playing the pipes. 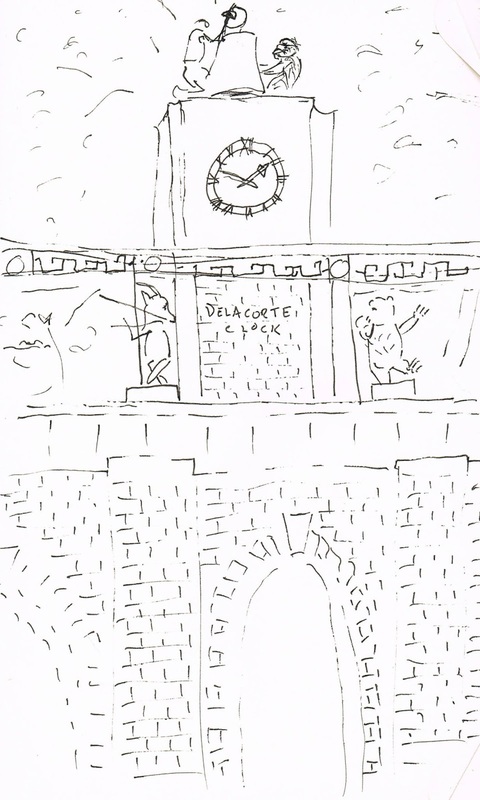 Every hour on the hour a pair of hammer-wielding monkeys ring a bell and the menagerie dances around the clock. 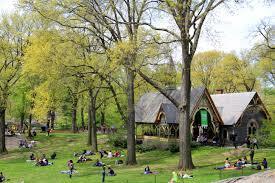 After spending the last few years’ worth of lunch hours in Bryant and Madison Square Parks, Central Park is overwhelming, like opening the closet door of a studio apartment and finding it leads to a Bavarian castle. The trees are bigger. The rocks are bigger. The sky is bigger. The people who share the space are as dumbfounded as I am to find themselves in this magical land. There is a lot of money in the neighborhood. Too much, really. The shock of the natural world is a tonic for the obscenity of opulence that surrounds it. 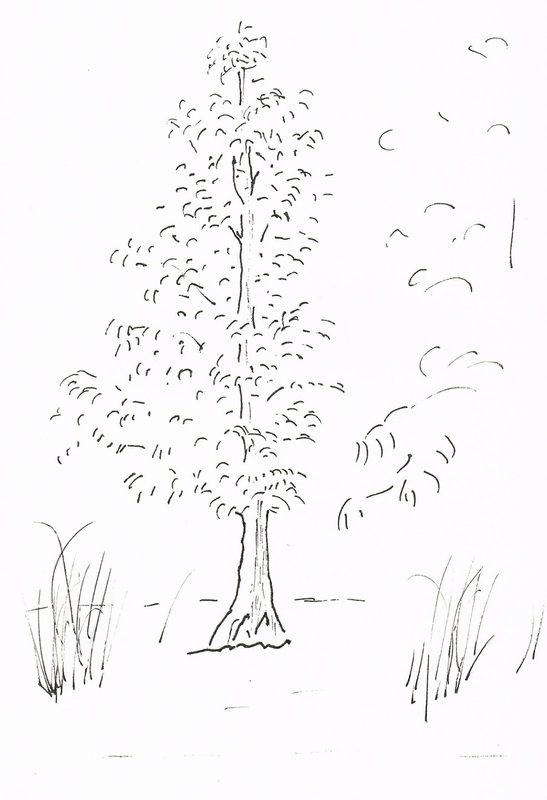 I found this little tree on an outcropping of rocks in The Pond that it shared with a few turtles who were sunning themselves on of the last warms days of the year in the city.